It happens every year. The holiday shopping season starts heating up, and so does the need for retail stores to staff up to meet increased consumer demands. 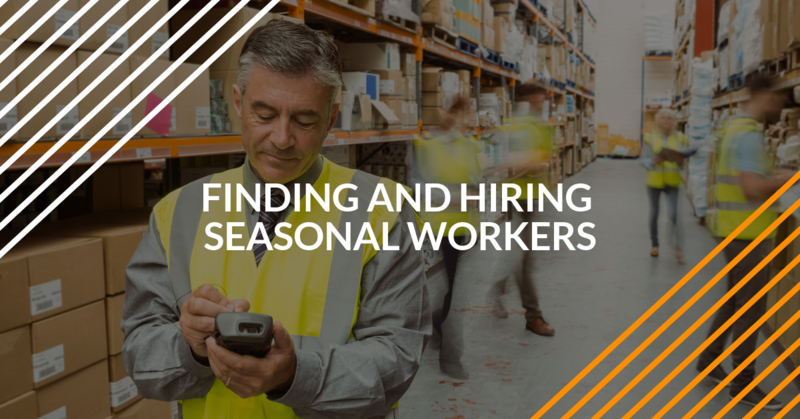 This year, industry experts are predicting that finding enough seasonal workers could be a real challenge. Competition for seasonal employees will be intense. The following strategies can help you hire enough staff to keep customers happy during the holiday shopping frenzy. Start early. If you haven’t yet started hiring seasonal employees, you’re already behind the eight ball for this year. But this tip can serve as a good reminder for next year. How early is early? Most experts recommend posting seasonal hiring ads three to four months ahead of the holidays. This will build a pipeline of qualified candidates before the time comes to hire them. More important, it allows you to make contact with the best candidates before they get picked off by competitors. If you wait too long, the talent pool will be smaller. You’ll have to rush the hiring process, which can result in unreliable seasonal workers. Hire your own customers. This may seem like an unusual approach. But if someone is a regular customer, they already have some knowledge about your business, your brand and your products. If you are a high-end brand or market leader, many people will gladly work on a temporary basis so they can boast about working for you. Hiring customers makes it easy to reach out to those people. You can advertise in your stores and on your website for very little cost and effort. Don’t try to take shortcuts. Anyone who works for you – no matter how briefly – represents your business to consumers. So act like you’re hiring a full-time employee. To attract reliable seasonal employees, have clear job descriptions so job candidates and hiring managers know what you’re looking for. Be clear on the length of employment and the hours seasonal workers will need to be available. Describe what skills and experience will be needed for each job. You wouldn’t hire someone who has never operated a forklift before. So make sure candidates understand what is required. Also, be sure to mention any incentives, such as employee discounts or the possibility of a permanent job. Use employee referrals. The people already working for you can be a great source of good seasonal job candidates. Not only that, they’re not likely to refer slackers since nobody wants to get stuck working with someone who doesn’t get things done. But you have to ask, as employees don’t usually volunteer names on their own. So be proactive in asking your workers for seasonal referrals. Better yet, provide incentives for every referral that turns into a seasonal hire. A bonus in their paychecks is always appreciated. Paid time off after the seasonal madness is over also goes over well. Reach out to retirees. This is an often-overlooked source of good seasonal workers. Retirees are often looking for some extra income. They’re reliable, and usually have flexible schedules. They also offer knowledge and experience that can be a real asset to your business. Depending on their age, make sure they have the health and stamina to work long, busy hours. This is especially true for manual labor jobs such as operating a forklift or scurrying about a large warehouse to fulfill orders. Keep all floors clean and dry, especially on loading docks and in warehouses. This will minimize slips, trips and falls. Provide ergonomic lifting equipment. Employees who lift packages the wrong way are more prone to injury. Train and certify all seasonal workers who operate forklifts and other heavy equipment. This can be achieved quickly and easily online at ForkliftCertification.com. So hire early, hire smart, and keep all employees safe during these hectic times. You and your customers will be glad you did.